Home | Disney and Animation Art | Disney New Arrivials | Edson Campos Limited Edition Hand Embellished Canvas Giclee "Sultan's Daughter, The" OFFICIAL | Gallery Direct Art | 800-733-1144 Free Ship. No Tax. Edson Campos Limited Edition Hand Embellished Canvas Giclee "Sultan's Daughter, The"
Edition:195 numbered and hand signed by the artist. Home | New Releases | Edson Campos Limited Edition Hand Embellished Canvas Giclee "Sultan's Daughter, The" OFFICIAL | Gallery Direct Art | 800-733-1144 Free Ship. No Tax. 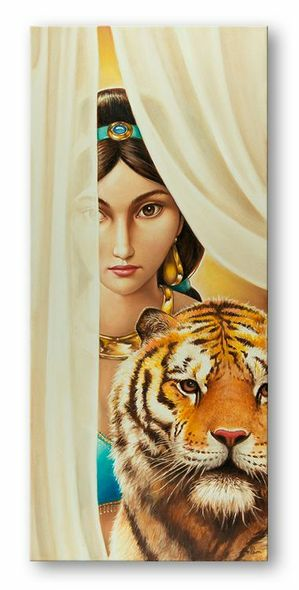 Home | Fine Art Prints & Limited Editions | Collectors Editions | Disney Fine Art | Edson Campos | Edson Campos Limited Edition Hand Embellished Canvas Giclee "Sultan's Daughter, The" OFFICIAL | Gallery Direct Art | 800-733-1144 Free Ship. No Tax. Home | Disney and Animation Art | Disney Fine Art | Edson Campos | Edson Campos Limited Edition Hand Embellished Canvas Giclee "Sultan's Daughter, The" OFFICIAL | Gallery Direct Art | 800-733-1144 Free Ship. No Tax.